Welcome back everyone! 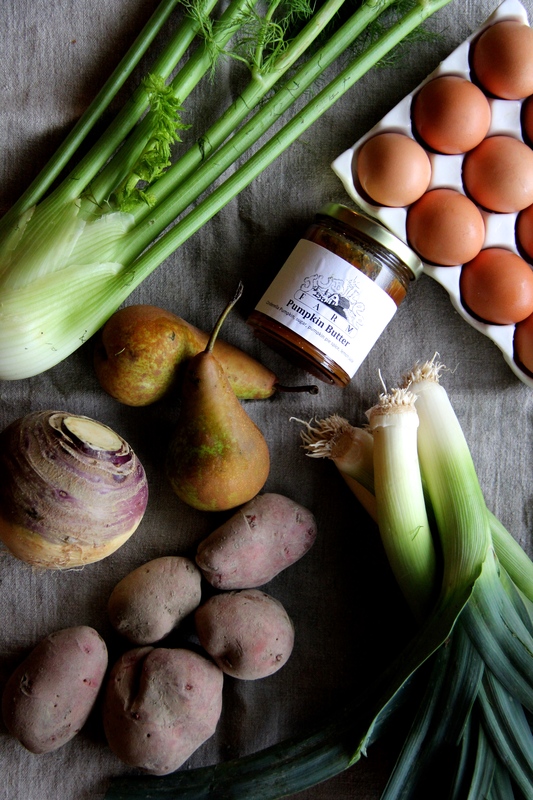 The Winter CSA session is back and I’m excited to be giving you more recipes over the next six weeks! If you have any questions, you can always contact me through the link above. Now let’s get started! We’ve had a mild winter thus far and it’s easy to get tricked into thinking that spring is beginning to peak through our grey days. I don’t want to alarm you, but as of this week, winter is only halfway done. I know. It’s tough love. But! Just think! That means we still have plenty of time to indulge in the comfort foods that are a signature of these dark days! 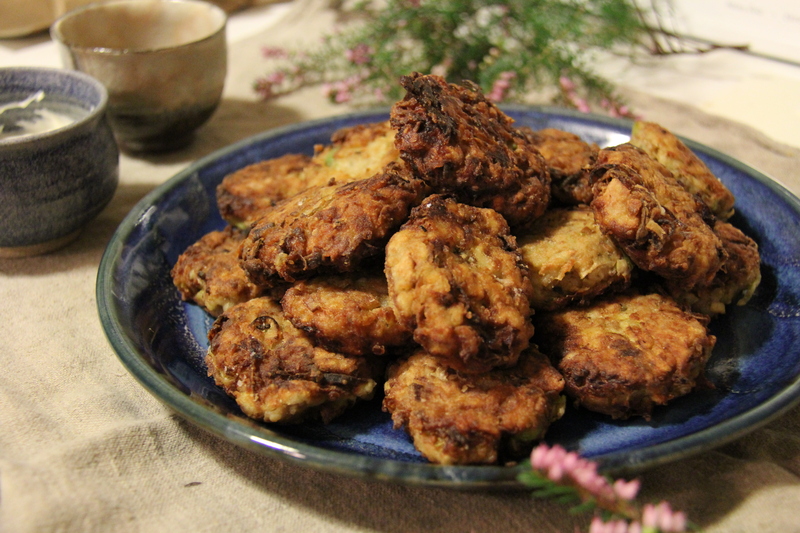 And so, I offer you some Rutabaga fritters. These are an easy weeknight treat or a great weekend brunch option. And they make use of so much from this week’s box! 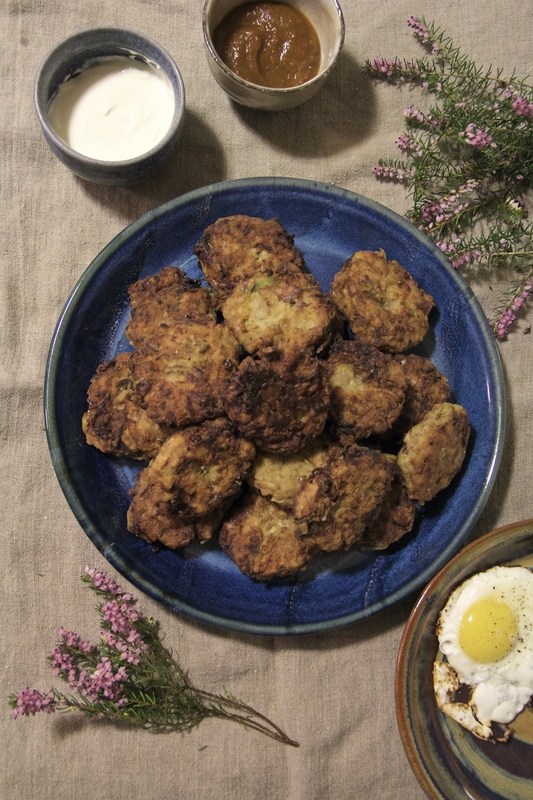 Similar to Jewish latkes, these fritters embrace the earthy flavors of winter with some fond memories of fall (thanks to the pumpkin butter) and the hope of spring (from the bright flavor of sour cream). These are a staple in our home and I hope you find comfort in them as well. 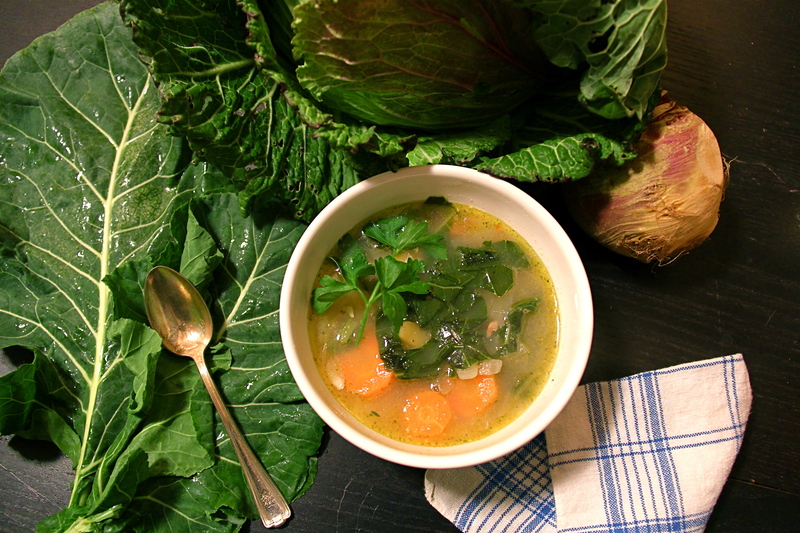 Using a box grater or food processor, coarsely grate the rutabaga and potato. Mix together remaining ingredients in a mixing bowl. Use your hand to form ping pong sized balls, gently squeezing out any extra liquid. Next, flatten these balls and lightly dredge them in flour. Set aside. Heat enough oil in a fry pan that 3-4 fritters will be submerged about 1/3 of the way up. This amount will depend on the size of your fry pan. You don’t want your fritters too crowded. When the oil is hot, place 3-4 fritters at a time in the fry oil and cook until golden brown (about a minute), then gently flip until the other side is browned as well. Remove and place on a plate lined with a paper towel. 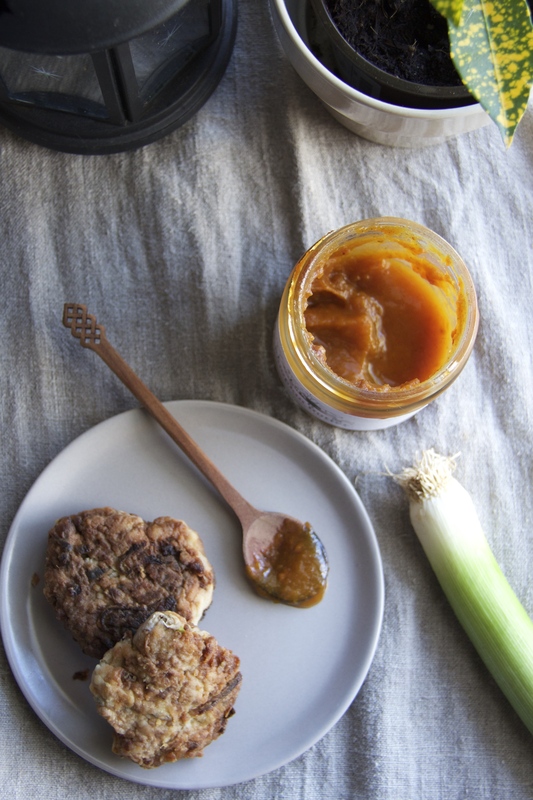 Once all the fritters have been cooked, served them with a dollop of sour cream and pumpkin butter. To be extra decadent, fry an egg or two per person to enjoy with their fritters! Runny yolks make a great sauce for these guys! Note: If you aren’t too keen on pan frying these, try baking them in a 375 degree oven until golden brown. Begin checking them for doneness after 8-10 minutes.